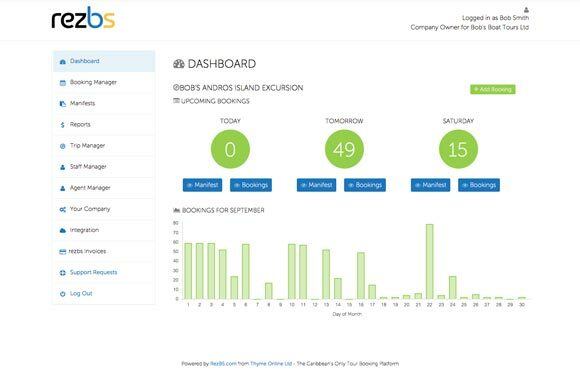 rezbs provides a complete platform for managing your booking and reservation operations, from no-hassle e-commerce right from your existing website, to full control over sales, transactions, reporting and day-to-day manifests. Your customers expect to be able to book online. Instantly. rezbs makes that possible with with a free Wordpress plugin or just two lines of code for non-Wordpress sites. No website overhaul, no rebuilding to meet stringent security requirements of your bank. 20 seconds is all it takes to be up and running with a full booking system that works on your customers' computers, tablets and smartphones. *. With rezbs handling the security and technology, you can stay focused on growing your business. 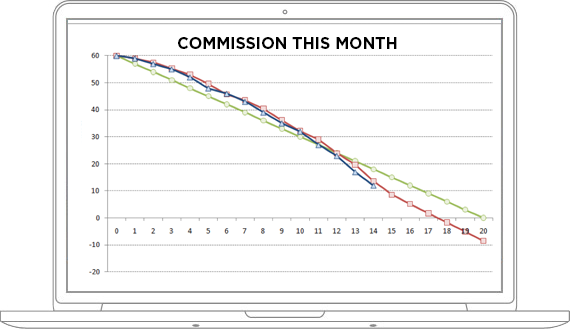 Commissions hurt your bottom line. With easy online booking capabilities optimised for tablets and smartphones, more customers will book direct. More customers booking direct means more net income for your business. Complete Management Means Complete Control. 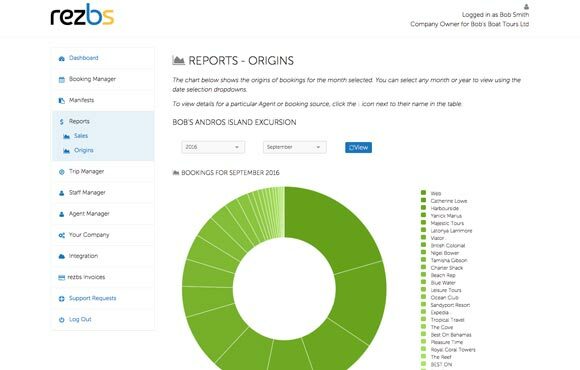 with rezbs as your core booking management tool, your team can eliminate duplications, eliminate errors and reduce costly administration time. To know your business is to control your business. 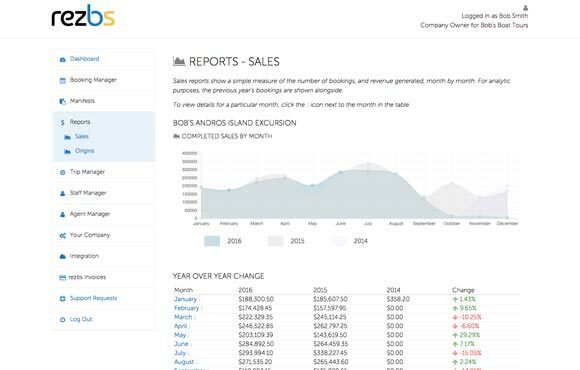 With real time reporting tools, its easy to track everything from where your sales are coming from, to how your business is growing month over month, year over year. 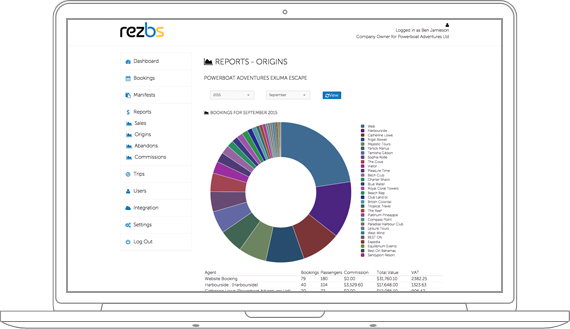 rezbs is designed to be available wherever you, or your customers, are. 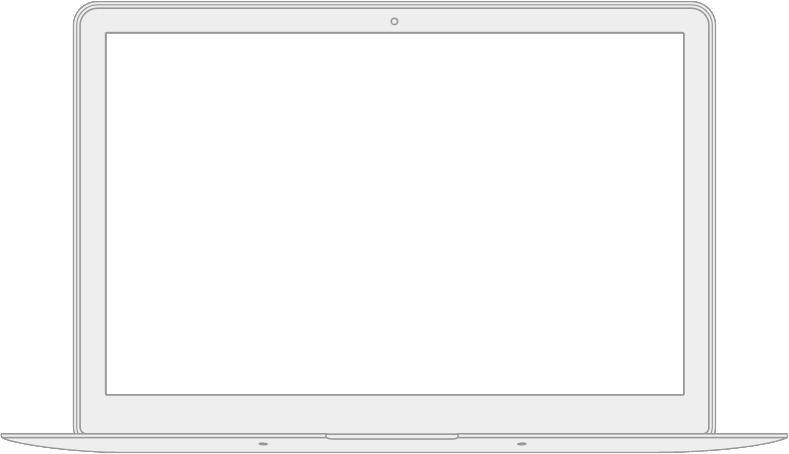 As long as you have an internet connection, you can access your dashboard, and make bookings, on desktops computers, laptops, tablets and smartphones. With mobile devices accounting for 25% of all internet use (and rising! ), your customers can book any way, noght or day. And you'll be ready, wherever you are. 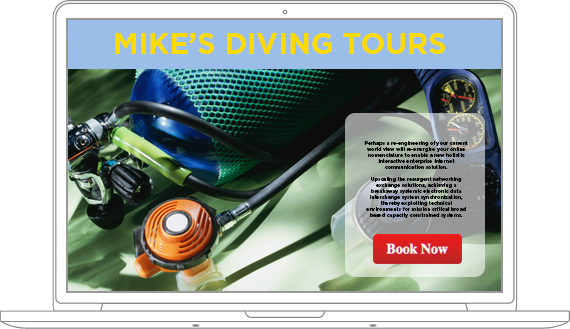 Customer Booking pages fully mobile friendly. We can tell you everything about rezbs, and what it can do for your tour company, but without proof of results, we know it doesn't mean much! 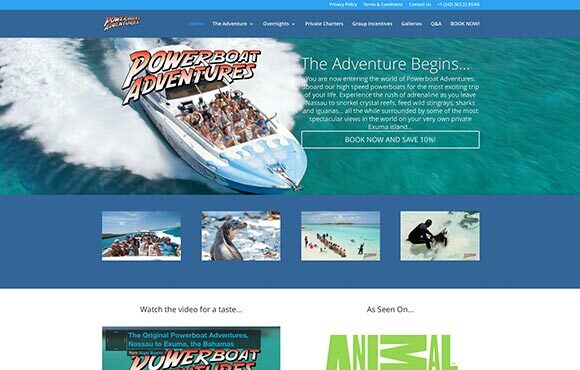 Powerboat Adventures is one of The Caribbean most recognised and popular tour activities. 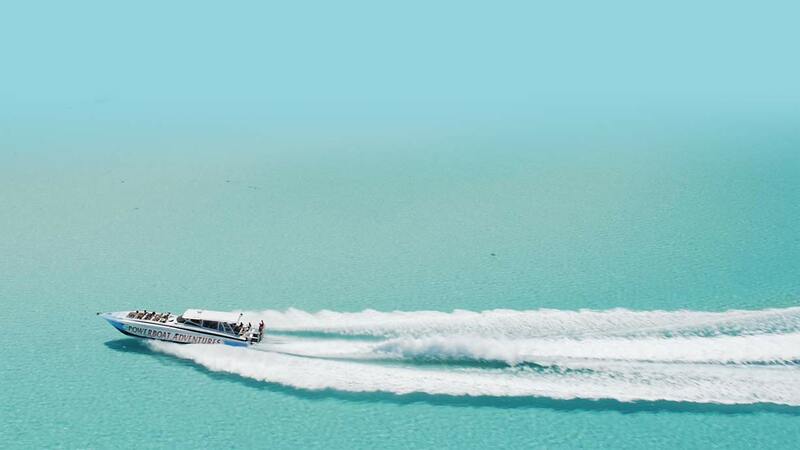 In November 2014, with VAT looming in The Bahamas, and margins becoming tighter, Capt Nigel Bower, the company founder, knew online sales were critical to the company in today's world, and began the task of finding a booking solution that would provide the tools needed to move the company forward. After reviewing several overseas tour booking options, he found none provided what he needed from a managment side, and, more importantly, none were integrated with the payment systems offered by the local banks in the Caribbean. He contacted Thyme Online, and worked with us to develop a system designed specifically to work with the tour operations of The Caribbean. The result of that collaboration and development is rezbs. In 2014, commission-based sales accounted for over 60% of the company's revenue. With 20% of each sale being lost immediately, net revenue was was taking a serious hit. 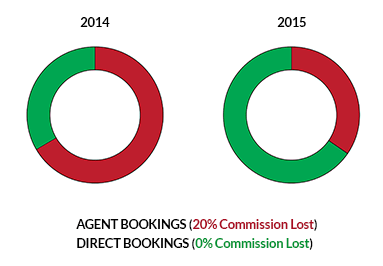 Within months of switching to rezbs and offering instant booking via the company's website, direct bookings had doubled, halving the amount of commissions lost, and drastically increasing the bottom line. Your Company. Your Work. Your Profit. rezbs has worked with the leading banks of the Caribbean to ensure wherever your merchant account is, we can support it. At the end of each month, you will receive an invoice based only on the bookings made that month. Don't pay more than you should in off-seasons! 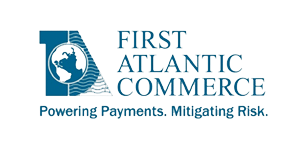 rezbs has been pre-approved by First Atlantic Commerce (e-commerce Provider for RBC, Scotia and First Caribbean), so getting your e-commerce account up and running is simple. As well as receiving pre-approval from the merchant payment providers, the servers running rezbs are fully PCI DSS* compliant, and undergo rigorous security scans several times a year as part of that maintaining that compliance. In addition, in accordance with the Credit Card companies' regulations, absolutely no sensitive credit card information is stored on the system at any time. Can I integrate rezbs directly into my website? While direct integration is more complex than our One Step method, if your existing website is built on the PHP platform we would be happy to assess what's involved and work with you to make it happen. Please note that some local banks will require your own website and the server it is hosted on to maintain full PCI DSS compliance in order to allow you to process transactions directly. I Have More than one package I sell. Can rezbs still work? Of course! The rezbs platform allows you to create as many packages, trips or excursions as you want, simply, easily and quickly. When booking, your customers will be presented with a summary of each, and can choose the trip they want on the spot. We know you're tired of paying commissions, and we know you don't want to pay for anything you're not using, so we've priced the system to work for you. 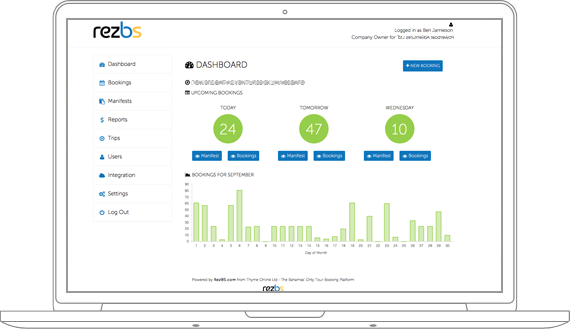 At the end of each month, rezbs calculates the number of bookings you've actually made, and creates an invoice based only on those bookings. We know your business can be seasonal, so we make sure you're never paying on bookings you're not making. The rezbs platform has been developed by Thyme Online Ltd. Thyme Online is a bespoke Bahamian web development firm that has provided web solutions since 1997. Their client list includes The Central Bank of The Caribbean, BISX, Caribbean Realty, Albany, Cable Caribbean, Lennox Paton Corporate Services and numerous government agencies. 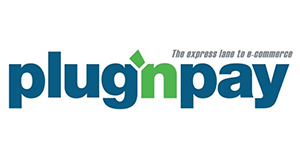 The company specialises in developing custom online and offline applications for various sectors of industry, and developing and integrating e-commerce solutions for retail, insurance and tourism markets. We are happy to answer any more questions you may have, so please don't hesitate to contact us to arrange a demo or meeting. 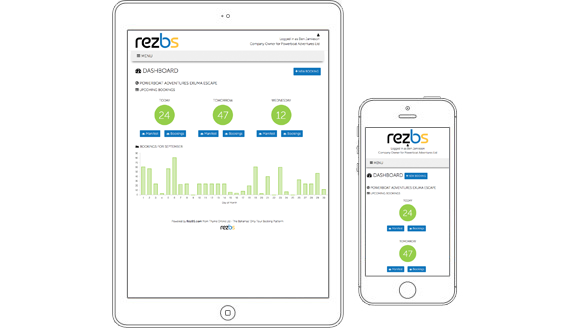 To learn more about rezbs, and what we can do for your bottom line, drop us a note and we'll be in touch to arrange a demo. This Agreement between rezBS (A Division of Thyme Online Ltd, a Limited Company registered in The Bahamas) (hereinafter “rezBS”) and You agree to the following terms and conditions. You acknowledge that by creating an account with rezBS and continuing to use the rezBS service (“Service”) you are agreeing to be bound by these terms and conditions (“Terms of Service”). Any new features or tools which are added to the current Service shall be subject to the Terms of Service. You can review the most current version of the Terms of Service at any time at https://rezBS.com/terms . rezBS reserves the right to update and change the Terms of Service by posting updates and changes to the rezBS website. You are advised to check the Terms of Service from time to time for any updates or changes that may impact you. You must read, agree with, and accept all of the terms and conditions contained in these Terms of Service before you may become a member of rezBS or continue to use the rezBS service. You must provide your full legal name, current address, a valid email address, and any other information needed in order to complete the signup process. Accounts with false or incomplete information will result in immediate termination and permanent deletion of your account and all contents. You are responsible for keeping your password secure. rezBS cannot and will not be liable for any loss or damage from your failure to maintain the security of your account and password. You must never store customer credit card information, in plain format, or disguised, in any area of your rezBS account. Failure to comply with with this requirement will result in immediate account deletion. You may not use the rezBS service for any illegal or unauthorized purpose nor may you, in the use of the Service, violate any laws in your jurisdiction (including but not limited to copyright laws) as well as the laws of The Commonwealth of The Bahamas. You are responsible for all activity and content (data, graphics, photos, links) that is uploaded under your rezBS account. A breach or violation of any of the Account Terms as determined in the sole discretion of rezBS will result in an immediate termination of your services and permanent deletion of your account and all contents. rezBS does not warrant that the service will be uninterrupted, timely, secure, or error-free. rezBS does not warrant that the results that may be obtained from the use of the service will be accurate or reliable. rezBS does not warrant that the quality of any products, services, information, or other material purchased or obtained by you through the Service will meet your expectations, or that any errors in the Service will be corrected. You expressly understand and agree that rezBS shall not be liable for any direct, indirect, incidental, special, consequential or exemplary damages, including but not limited to, damages for loss of profits, goodwill, use, data or other intangible losses resulting from the use of or inability to use the service. In no event shall rezBS or our suppliers be liable for lost profits or any special, incidental or consequential damages arising out of or in connection with our site, our services or this agreement (however arising including negligence). You agree to indemnify and hold us and (as applicable) our parent, subsidiaries, affiliates, officers, directors, agents, and employees, harmless from any claim or demand, including reasonable attorneys’ fees, made by any third party due to or arising out of your breach of this Agreement or the documents it incorporates by reference, or your violation of any law or the rights of a third party. You agree not to hide or otherwise obstruct the "Powered by rezBS" mark by any means. You agree that the relationship and interaction including but not limited to pricing, the use of the system, customer service communications both verbal and electronic, and support tickets between you and rezBS are considered confidential and private. You agree not to share the details of any relationship and interaction between you and rezBS and that you shall not disclose these interactions, or any portion therein, to any third party, service provider, competitor, or website, either publicly or privately. Failure to comply with such terms will result in immediate account termination. Such behavior will result in legal action. You agree that, should you use the rezBS API to interact with the rezBS service, you shall be bound by the rezBS API Terms of Service. Failure to comply with such terms will result in immediate account suspension. Verbal or written abuse of any kind (including threats of abuse or retribution) of any rezBS customer, rezBS employee, member, or officer will result in immediate account termination. We do not claim any intellectual property rights over the material you provide to the rezBS service. All material you upload remains yours. You can remove your rezBS membership at any time by deleting your account. This will also remove all content you have stored on the Service. 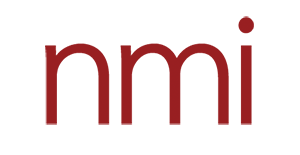 By uploading images and item description content to rezBS.com, you agree to allow other internet users to view them and you agree to allow rezBS to display and store them and you agree that rezBS can, at any time and at its sole discretion, review all the content submitted by you to its Service. The failure of rezBS to exercise or enforce any right or provision of the Terms of Service shall not constitute a waiver of such right or provision. The Terms of Service constitutes the entire agreement between you and rezBS and govern your use of the Service, superseding any prior agreements between you and rezBS (including, but not limited to, any prior versions of the Terms of Service). You retain ownership over all content that you submit to rezBS however, by making your website public, you agree to allow others to view your content. rezBS does not pre-screen Content and it is in their sole discretion to refuse or remove any Content that is available via the Service. Questions about the Terms of Service should be submitted via the rezBS contact form. A valid credit card or pre-approved credit terms are required for all activated accounts. The service will be billed on a monthly basis. On the first business day of the calendar month rezBS users will be sent a payment notice via email. As well, an invoice will appear on the "Subscription" page of your rezBS administration. Your invoice will show your amount owing in BSD. Credit Card payment may be made from directly within your account. Should payment fail, you will have until the 15th of the month (or next available business day) to bring your account up to date or your account will be suspended. Accounts that remain in arrears for 30 days from date of invoice will result in an immediate termination of your services and permanent deletion of your account and all contents. You understand that payment is for services already rendered, therefore rezBS does not provide refunds. If you cancel the Service in the middle of the month, you will receive one final invoice via email. Once that invoice has been paid you will not be charged again. rezBS does not refund outstanding credits. Fraud: Without limiting any other remedies, rezBS may, at its sole discretion, suspend or terminate your account if we suspect that you (by conviction, settlement, insurance or escrow investigation, or otherwise) have engaged in fraudulent activity in connection with the Site. Should fraud be suspected and should rezBS believe that consumers may be at risk, rezBS may, at its sole discretion, contact consumers who have used your rezBS account for the purposes of completing a booking and notify them of the potential risk. Cancellation Fraud: Without limiting any other remedies, rezBS will suspend or terminate your account if we suspect that you have engaged in fraudulent activity, including but not limited to canceling bookings or reducing the face value of bookings to zero for the express purpose of avoiding service fees. Such behavior will result in legal action. Prices for using rezBS are subject to change upon 14 days notice from rezBS. Such notice may be provided at any time by posting the changes to the rezBS Site (rezBS.com). rezBS reserves the right at any time to time to modify or discontinue the Service (or any part thereof) with or without notice. rezBS shall not be liable to you or to any third party for any modification, price change, suspension or discontinuance of the Service. You agree that this Agreement shall for all purposes be governed by and construed in accordance with the laws of The Comonwealth of The Bahamas, and that any action arising out of this Agreement shall be litigated and enforced under the laws of the The Comonwealth of The Bahamas. In addition, you agree to submit to the jurisdiction of the courts of The Comonwealth of The Bahamas, and that any legal action pursued by you shall be within the exclusive jurisdiction of the courts of The Comonwealth of The Bahamas.